Today I'm gonna talk about 5 clothes shops that have free delivery. I think for all the fashion bloggers the costs from shipping are always a big trouble, nobody is interest to spend all the money on the shipping costs, I have been searching many shops, and I realise that sometimes the shipping costs that some of them charge, it could be enough to buy another clothe piece (yes I know what you thinking, she is stingy, yeah it's one of my biggest problems) so for all people out there like me, HERE IS THE SOLUTION. NA-KD is a shop full of nice clothes and accessories for woman, you can find affordable things and more expensive ones, but generally they always have good SALES, one thing that you can do as well, is to sign up the newsletter and receive the emails with the promotions (those annoying things), so you can find nice deals, sometimes. 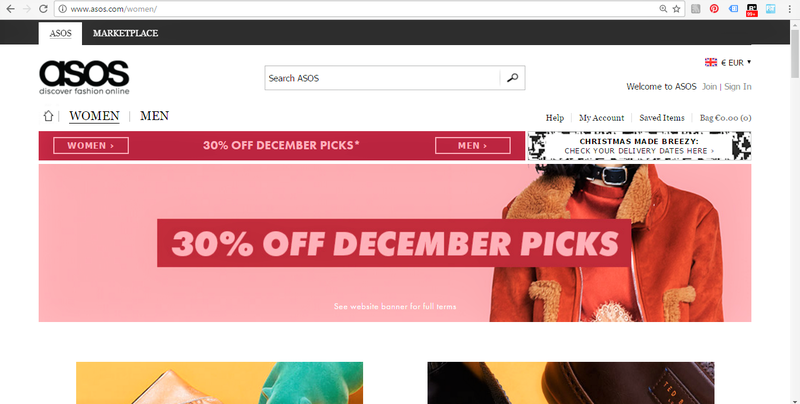 ASOS is a very famous English website, has a mention on my article about online shopping, I am a big fan of this shop, because they sell from different brands, some of them with expensive shipping costs (public desire), and they have clothes and accessories for men too, so you can buy your Christmas presents for all your family there (AHAHA) easy and fast. The quality is amazing, delivery is fast, and the good thing is that you have FREE DELIVERY after 30€ (that is nothing), if you spend less then 30€ you pay a fee of 3€ (bargain), returns are for free too. 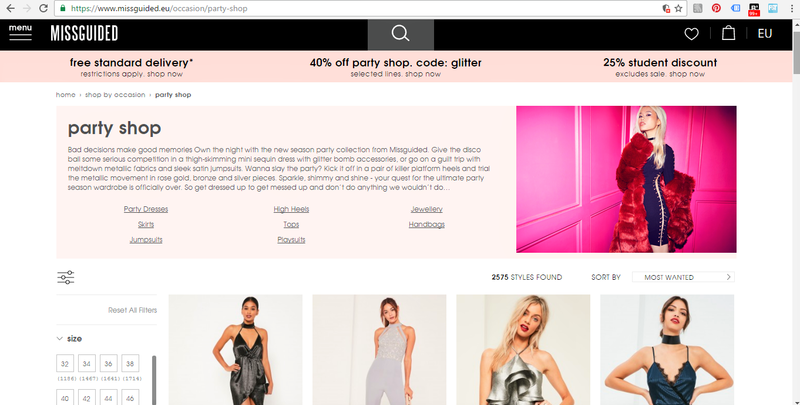 Missguided is a shop with affordable clothes for woman, as NA-KD has as well many good SALES, you can find really nice trend pieces. One good thing that I like on this website is the fact that on the menu you can choose the option SHOP BY TREND, well me personally I really appreciate the websites with this option, because it makes easier your search. Shipping is free at the moment for some countries, but for Portugal and Cyprus we need to pay ONLY 4€ (compare with another shops is nothing, and is worth it). Zaful is a "chinese shop" with a huge range of different products, some with good quality another ones with less (you need to be lucky, AHAHA), the delivery is fast, the policy of return is not the best, I had two pieces that I want to send it back, but they said that wasn't necessary to send it back, and they gave me some money (more less half of the money that they costed). I see that lots of bloggers buy from them, because they have very original pieces with good prices, so go and give a try too. The good new is that FREE SHIPPING is above 30$ only. 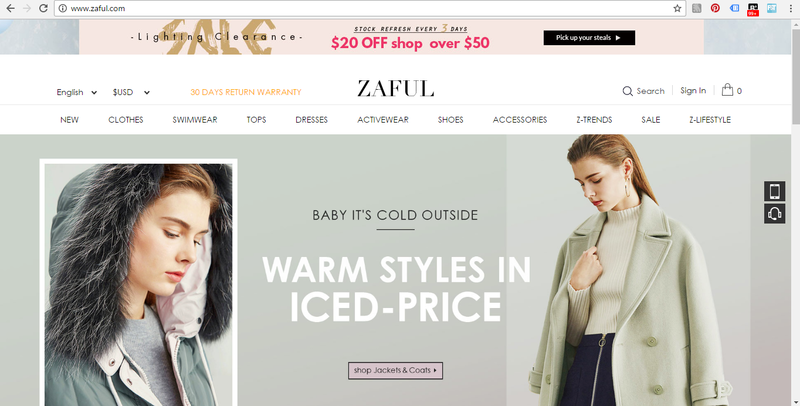 Choies is a website almost like Zaful, full of nice fashionable clothes and with affordable prices, and as well full of DISCOUNTS all the time. I never order anything from them, so I can't share that much to you, but for sure one of my next purchases will be from this shop, and you know why, because they have as well FREE SHIPPING above 15$. I hope that you liked my suggestions... and now lets go for some SHOPPING. Obrigada por partilhares estes sites. Ás vezes é mesmo chato quando pensamos que as nossas compras online vão acabar num valo mas depois esse valor duplica só por causa dos portes. O post foi muito útil! Obrigado :P Ahahah e o melhor de tudo é que é meeeesmo verdade :P Nunca sabemos onde vamos parar! Conheço bem todas e estou à espera de uma encomenda da Zaful :p A missguided é imensamente falada! Obrigada pelo comentário Eli. O pormenor das meias é mesmo para ficar visível! Gosto de rendas a "espreitar" seja fora do calçado ou em outras peças ;) Detalhes meus!